Shady Lady Saloon bar in Sacramento US is a tasteful trip back to the 1920’s accompanied by artesian cocktails and a bespoke menu. 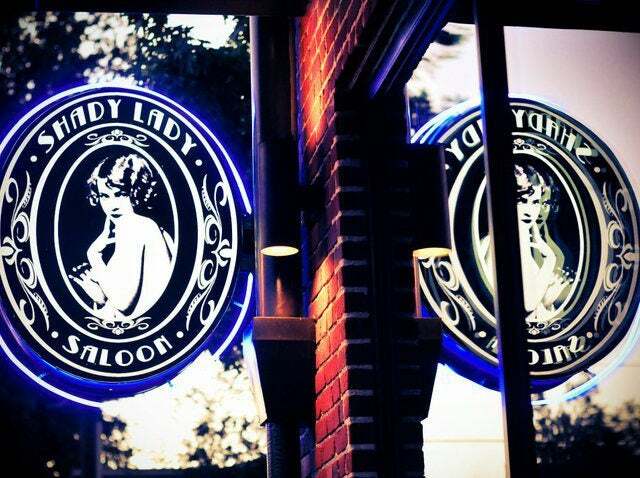 Reminiscent of the American 1920’s era, Shady Lady saloon is a contemporary bar that shows us a glimpse of the past. Named one of the top 25 American bars in international magazine, Shady Lady proudly boasts their magnificent bar to all who enter. Once you have entered through the doors, you will be propelled back to the 20’s era where you could cosy up with a special lady or gent and grab a drink. The saloons décor does this period in time justice, with red patterned wallpaper, ornate ceilings and of course a giant vintage chandelier. Live music performances keep people entertained, especially with their daily jazz selection. While you choose whether to sit at their tables or the large wooden glossed bar, you will have a lot to ponder with their artisan cocktail menu and gourmet food list. Shady Lady only offers the finest and freshest food, with ingredients procured daily. Their mixed cultural menu ensures that all guests are satisfied. There are of course, certain dishes that catch our eye more than others and these are the duck confit tots (small plate menu), which melt in your mouth. And then the well-known ‘shrimp po’ bay’ dish which is beer battered shrimp covered in Louisiana hot sauce, roma tomatoes and a side of coleslaw. Happy hour starts at 3 so make sure you order some tasty drinks. We suggest you try ‘Blood for Blood, ‘containing Rum, Spice Liqueur, ginger syrup, fresh lime, blood orange puree and a allspice dram.